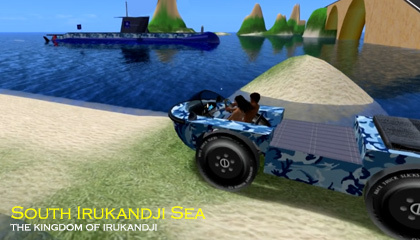 South Irukandji Sea is a region in Aboyo State in southwest Irukandji. South Irukandji Sea was predominantly a deep water sea. A long narrow sandbar ran the length of its southern shore. 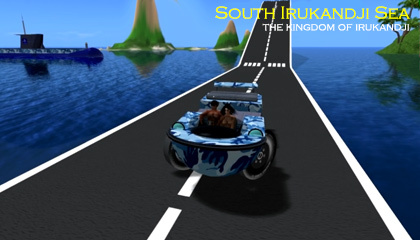 Its initial location on the edge of the kingdom made it ideal for a tall arch-bridge highway that continued north into Mount Aboyo all the way to Octane Island. 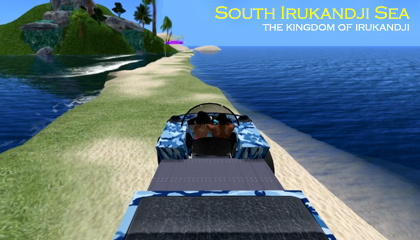 Later when I added Toraboyo Beach to the sim's immediate east, I removed the highway and South Irukandji Sea became a standard open ocean. I also submerged a large portion of the sandbar, just leaving a hint of where it had been. South Irukandji Sea was well used during its time, and residents of Manatu Island, Toraboyo Beach, and Aboyo Island who lived on its shores, built some beautiful houses to make the most of the view. 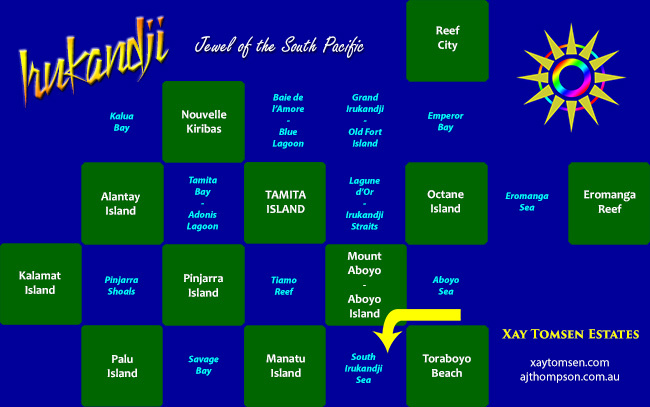 Other regions not mentioned already that adjoined South Irukandji Sea were Tiamo Reef and Aboyo Sea. 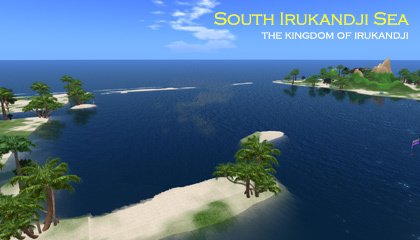 Below are some more photos of South Irukandji Sea that I took during my time on the InWorldz grid.